When you are involved in advocacy, you live, sleep, breathe and dance advocacy. This is because there is hardly any time you couldn’t seize an opportunity to talk about what you are advocating for. Some moments may trickle down while some would be filled with intense activities. It is the same thing with those who are involved in sickle cell advocacy. Top left Was my FB Profile in Sept and bottom Right my Whatsapp Dp. The two gents came out to support warriors by donning red. 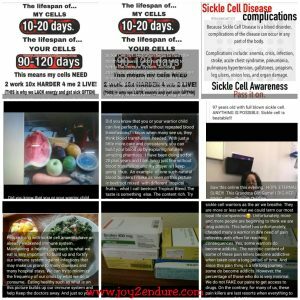 In September, which is considered National Sickle Cell Awareness Month in the US and in most Western nations, activities to raise awareness were high in many places. 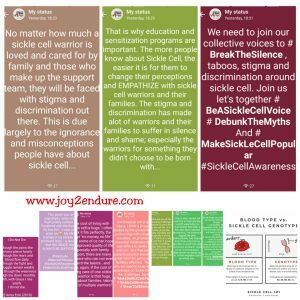 All the Social Media platforms that could be used to raise awareness and #MakeSickleCellPopular were in full swing with warriors all over the world doing everything possible to bring awareness about their unique battle. 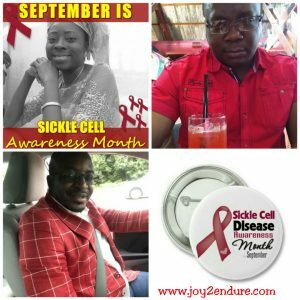 Yours truly is usually more involved in June as the world celebrates Sickle Cell Day on June 19th and which coincidentally, is the period activities are more visible in Cameroon. Nevertheless, I couldn’t let the month pass by without doing anything to add to the awareness wave and so, I had to look for ways to do so. Technology has always been my biggest tool and voice amplifier. Therefore, in addition to doing the posts on Facebook to generate debates around sickle cell, I discovered Whatsapp Status updates and made good use of it. 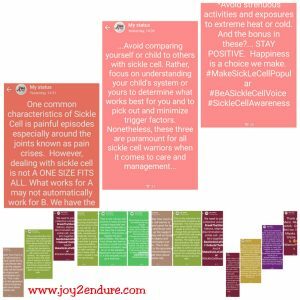 It was thrilling to have many follow with positive feedbacks on how these daily statuses throughout September were helping them change their perception about sickle cell. It was especially beautiful because those not on Facebook got a glimpse of my #BreakTheSilence and #BeASIckleCellVoice campaign for the first time. Some of the status updates screened shot can be seen below. More Whatsapp Status Updates Screen shot. Also, I had plans to take the campaign to the North West and South West Regions of Cameroon. However, due to the ongoing unrest in these regions, I had to devise a way of reaching others out of the keyboard and screen and thus, along with Dr Mike who oversees the sickle cell clinic at the Etougebe Baptist Hospital, we arranged to take the advocacy to the base… by trying to break down to an understandable level what sickle cell is all about to the senior primary school pupils of the Etougebe Baptist Primary School. 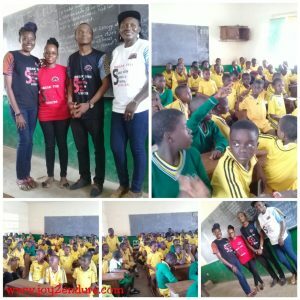 We got permission and with Mrs Olivia Acha-Morfaw of the Cameroon Sickle Cell Organization and Ms Helen Yensi of The Hope Center, we had a great time with the kids. Hmm yes, I had to suffer a moment of stage fright especially as I wondered how to pitch my voice loud enough. Those used to me heard me loud and clear but eh! Trust kids to giggle when they couldn’t hear me. So I tried oh ah move all ma volumeJ. Thankfully, they heard me finally and with a breathe of relief we continued LOL. It was a very fulfilling moment for all of us. Especially as the kids came back with a lot of interesting questions about what sickle cell is all about and how they would assist someone who has it or know they do. Knowledge is the best defense in anything in life and helping these pupils understand the basics of genotypes in relation to sickle cell was very, very fulfilling. At the EtougeEbe Baptist Primary School with the Senior Primary School Pupils. And finally, making another #BreakTheSilence tee shirt to shake things for the month of September and seeing many don it and add their powerful voices to the awareness was just so touching and humbling. 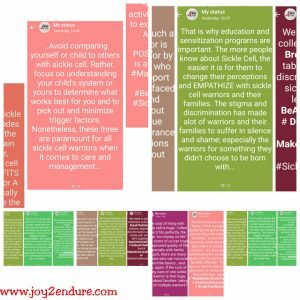 There’s nothing like a dependable strong support system in advocacy especially when it concerns something filled with ignorance and misconceptions like Sickle Cell. And of course, I had to make an appearance as a guess for Princess Clitin to talk about Sickle Cell and what it entails highlighting the challenges faced. Watch the YouTube clip here. 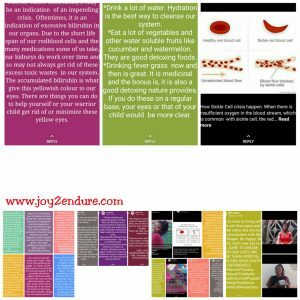 Overall, September was a very fulfilling month for this sickle cell advocacy. 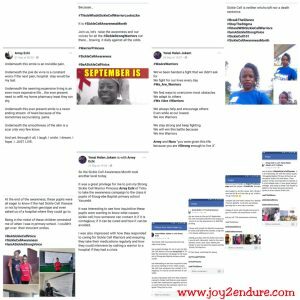 Despite the fact that many plans didn’t materialize, we still were able to do something and thus joined the world wide community of sickle cell warriors to Break the Silence and Make Sickle Cell Popular. September has come and gone but the advocacy is a 365/366 days affair so keep watching this space for more activities for the benefit of sickle cell warriors worldwide especially in Cameroon. Tell us what you think. We are always glad to hear from you, thank you.